I've been looking for a new vehicle for some time. I did research online and visited different dealerships, I knew what I wanted in a vehicle and what I wanted to spend. At other dealerships, the salesmen were pushy and didn't listen to what I wanted. When I got to Yorktown Nissan, I was greeted by Joseph Calabrese. He was courteous and listened to my specific needs. He showed me a 2019 Rogue and I fell in love with it. I made a decision that day and picked it up a few days later. I recommend Joseph Calabrese, if you are looking for a new vehicle. Was looking for a new car and went to Yorktown Nissan to just look at the Rogue's. Upon arriving, I was greeted by Joseph Calabrese. He was very knowledgeable about the vehicles and was not pushy at all. Needless to say, I decided to purchase the car and got a wonderful deal. Joseph made the process easy and I picked up my car the next day. I would highly recommend Joseph Calabrese if you are looking for a new vehicle. We stopped in without an appointment due to a tangled seatbelt, an unsafe situation. The shop was extremely busy and no repair crew would be available for two hours. Krystina, who has ALWAYS been extremely helpful and friendly on our previous visits, stepped it up even more by offering to fix it herself!! She then spent 15 minutes wrestling with the tangled belt until it was usable again. We were safe and legal to hit the road. Nissan should be very proud to have a representative like Krystina. 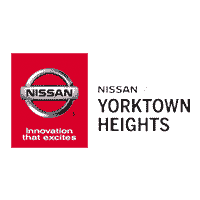 She offers wonderful customer service with a smile and makes us very happy to continue our relationship with Nissan of Yorktown Heights. Krystina Cooke takes great care of my car.